Scientists have discovered a big planet hiding outside of our solar system. The scientists assume its existence basing on some peculiar flung icy bodies. These objects are said to exist in the kuiper belt which is outer to the orbit of Neptune. Scientist estimate this planet to be ten times bigger than our earth. Kuiper belt is the area beyond neputune’s orbit i,e out side the solar system where some objects orbit the Sun. 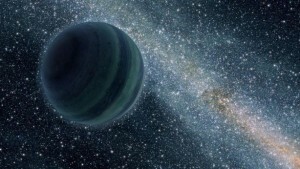 They assume that the distance of the new planet from the sun could be 500AU to1,500Au. Batygin and Brown are the two planetory scientist who focussed into the new planet. Earlier two other reasearchers have suspected the existence of the new planet in the year 2014. The planet is suspected to have been pushed off into the outer solar system at the time of formation of the solar system. The planet is said to be orbiting the sun and other planets of the solar system from a far distance. Again it was in 2005 that Scientist Brown discoverd bigger objects than pluto in the Kuiper belt. This leaded to a conclusion about pluto and it is considered a dwarf planet instead of a planet . The new planet is believed to orbit the sun in 15000 years. Six objects outside the solar system orbit this new planet in various strange eliptical orbits. Computer stimulation recorded for months by the scientists have been the evidences of the planet. More invention and information about this icy world is expected in the future.